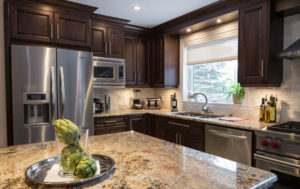 Custom Cabinetry – Classic Finish Inc.
At Classic Finish, we specialize in custom Kitchen Cabinetry and Bathroom Vanities. Classic Finish has several different lines of cabinetry to help meet your Kitchen and Bathroom needs. Eastman is a semi custom cabinetry company that offers Overlay and Inset cabinetry options. Eastman offers over 20 cabinet doors styles and colors. Eastman is a solid plywood construction cabinet box. In addition, Eastman offers free standing bathroom vanities at a very economical price point! 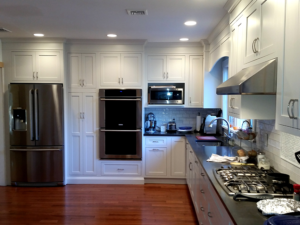 Eastman Street Woodworks offers cabinetry that can be used in any application! Luxor is a complete customizable cabinetry company that offers a European Framless Construction. Luxor offers over 80 door styles and unlimited colors and stains. If you want a modern style cabinet, Luxor is the perfect Cabinet line for you. James Martin specializes in free standing solid wood Vanities. James Martin offers many different styles and finishes. 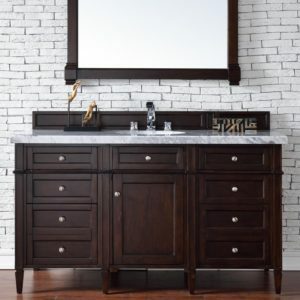 James Martin also offers several choices of granite and marble counter tops with attached sinks for a ready made vanity that is custom to your home. Matching wood linen closets and wood mirrors are the perfect completing touch. James Martin is a great solution for updating the vanities in your homes. Located in the heart of Amish Furniture Country two miles west of Mount Hope, Ohio, Levant Kitchen Furniture is leading the way in custom cabinetry. 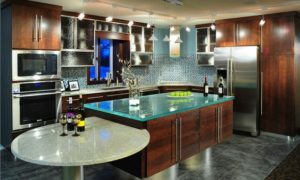 Since 1975, they have been creating handcrafted custom cabinetry and providing exceptional customer service, and are carrying on that tradition today.